Catholic parishes in the Philadelphia Archdiocese responded with enthusiasm to the call by Pope Francis to celebrate 24 Hours for the Lord as a special Year of Mercy observance beginning Friday, March 4 and ending Saturday, March 5. At least 59 parishes reported their participation to the archdiocesan Office for the New Evangelization, according to its director, Meghan Cokeley. How many other parishes quietly did so without reporting it is unknown. Ideally, the church would be open for 24 hours with adoration of the Blessed Sacrament during the times Mass or benediction or other devotions were not being conducted. 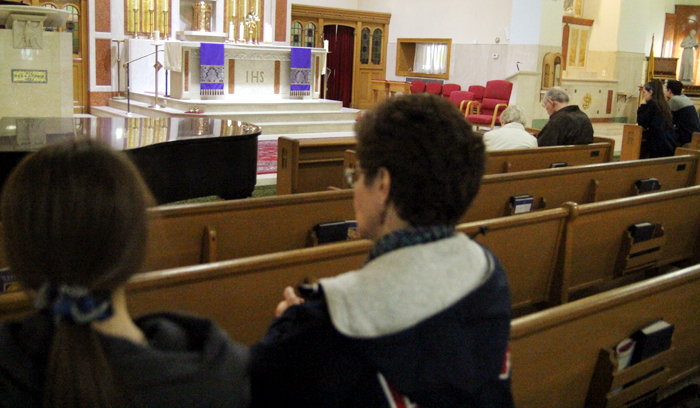 More opportunities for the sacrament of penance was also a feature of the 24 Hours observance. 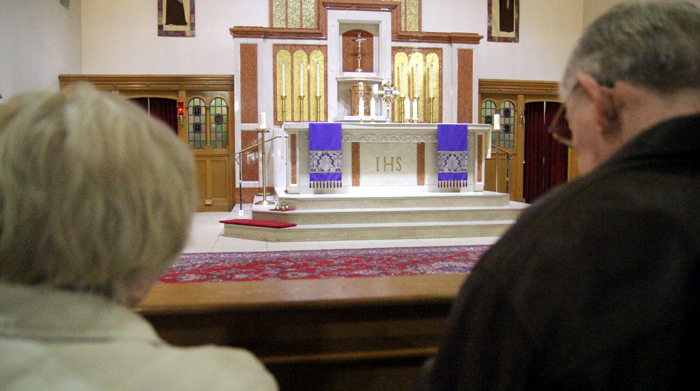 As a practical matter, some parishes opted not to have adoration during the overnight hours either because of a lack of volunteer adorers or security concerns. He need not have worried, every time slot was more than covered. 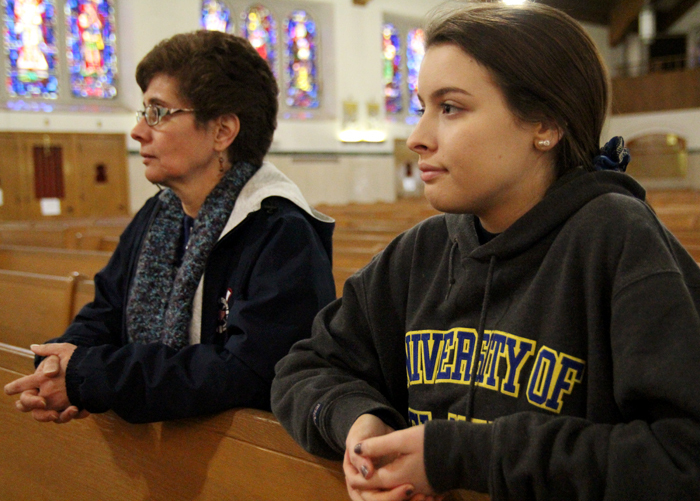 Maria Lynch, who was praying alongside her daughter, Katie, a sophomore at Merion Mercy Academy, said she tries to come every Monday when the parish has scheduled adoration. “I like to spend time with Jesus, it’s a perfect time,” she said. 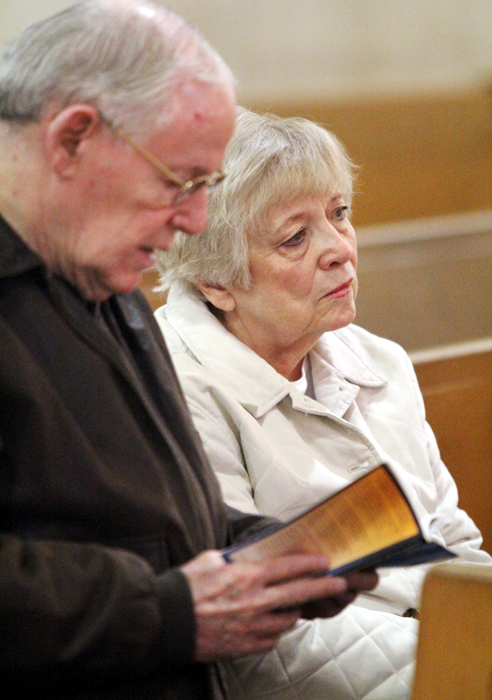 Retirees Liz and Frank Canavan visited as a husband and wife team.